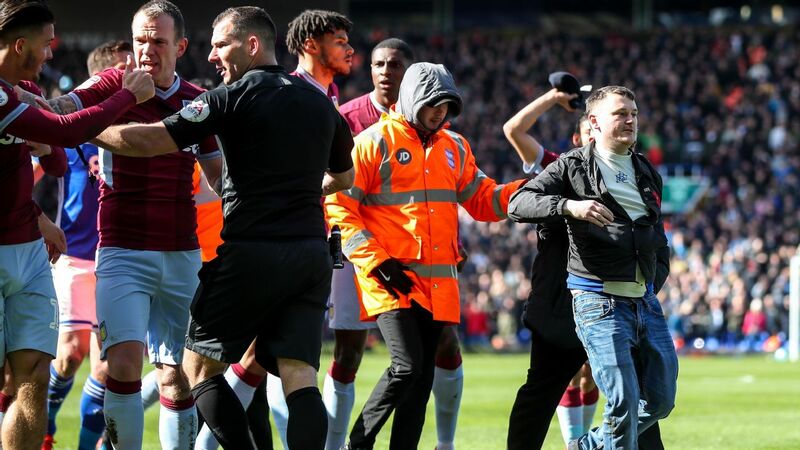 Aston Villa fans may get the chance to get a first glimpse of Steve Bruce's new-look Villains side when they take on Blackburn Rovers in EFL Championship action this Saturday. The experienced Bruce has brought in two African players - Yannick Bolasie of the Democratic Republic of Congo and Anglo-Nigerian forward Tammy Abraham - on loan, as he attempts to restore the fallen giants to the top tier. The duo have a point to prove after struggling in the Premier League last term, and ex-Zambia assistant coach and Queens Park Rangers opposition analyst Irfan Kawri believes they have the talent to end the Villains' wait for top-flight football. What should fans expect from the duo -- and Bruce's Villa -- should they make their debut this weekend? Villa have mainly played a 4-5-1 system this season, with Glenn Whelan sitting in central midfield screening the back four, with Jack Grealish and new boy John McGinn ahead in midfield. Results haven't gone well in the last five games, although Bruce's recruitment has the potential to boost their attacking options, and the new arrivals may also prompt a change in system. They at least leave the manager with some decisions to make, with some of his big-name African players in danger of losing their spots. He may opt to start Abraham ahead of Ivory Cost forward Jonathan Kodjia, with Grealish in support and Bolasie and Anwar El Ghazi offering a threat from wide areas. However, England international Abraham will need to work his way back to full fitness, and also has to demonstrate the form that he showed during his 2016-17 Championship season on loan at Bristol City. That year, the wonderkid dazzled with 23 goals in 41 league outings, but he struggled to adapt to life in the Premier League last term, managing just five in 31 as Swansea City were relegated. The youngster must therefore set about proving that he can still be the player we all once hoped he would become. One man who could help him rediscover his spark is Netherlands international El Ghazi, who is of Moroccan origin. He's another who's lost his way after starring for Ajax, but an assist and a goal in the Championship to date suggest that he's on course to be a big player in this division. He should retain his spot on the left, while Bolasie would represent an upgrade on stand-in right winger Ahmed Elmohamady of Egypt. While the Everton man offers power, pace and the ability to make things happen in the final third, he never looked himself last season after returning from injury, ending the year with just one goal and zero assists in 16 outings. It remains to be seen whether Bolasie can return to the form that made him such an effective presence with Crystal Palace or during those early days at Goodison Park, when he dovetailed with Romelu Lukaku so well. Another option could be a 4-4-2 formation, with Abraham partnering Kodjia, and the influential Grealish switched out to a wide role, although here, Villa are hardly short of options. One player who could yet represent Bruce's ace up the sleeve is Albert Adomah. The Ghana international is coming off the back of the finest season of his career, in which he scored 14 goals, contributed five assists, and was unlucky not to end the year with promotion. However, there seems to be a question mark about whether he really has a future at Villa Park following an aborted deadline-day move to Middlesbrough. There are concerns about his relationship with the club's hierarchy, and while he may be willing to knuckle down and reaffirm his quality before a potential move in the January transfer window, will his services be required in light of Bolasie's arrival? One positive that could come from Bolasie's signing and Adomah remaining at the club, is that Bruce won't need to use the evergreen Elmohamady as a winger for too much longer. The Egypt international's shift back to right-back would also help the defence, allowing Axel Tuanzebe to slide into the centre to partner James Chester. To date, Mile Jedinak has been employed in this role, but he's more effective as a central midfielder, and the athletic Tuanzebe - on loan from Manchester United and eligible for the Democratic Republic of Congo - could form an excellent duo with Chester. During his time with United's U-23 team, Tuanzebe looked comfortable in the heart of the defence; he was a leader at the back, demonstrated good pace, strength, saw danger early and covered ground sweeping up well. The arrivals of Bolasie and Abraham, therefore, won't just give Villa an edge going forward, but they could also prompt a reshuffle of Bruce's resources in order to strengthen at the back as well. The Villains, surely the biggest team in the division, comfortably have a team and a squad which has the talent to secure a return to the big time. Now it's down to Bruce to guide them over the finish line; Saturday's clash with Blackburn should be a valuable glimpse of whether he's on the right track.